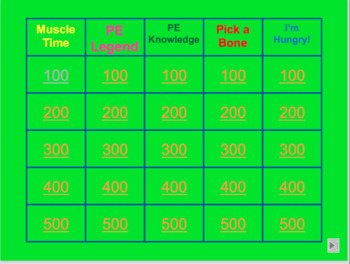 I know your students were begging for another PE in the Classroom...The Game! Don't let a classroom or small space take away your big PE dreams! I created this product out of necessity for my own students and to always have a solid backup game plan no matter what. Take them through this fun, interactive, and movement-styled game as they challenge themselves as they put their muscles, heart, and mind to the Ultimate test! Use it as a great way to introduce new concepts, review/refresh everything PE, or even use as an assessment hidden within an exciting game. Take them through it at their your own pace or use it as an exciting Jeopardy-style game. You can project it on your wall, have them do it individually/in groups on their own computers or utilize the PDF file however fits your needs. This product has 5 Main Themes with 100/200/300/400/500 point challenges for each (56 slides). Have them pick a category, pick an amount, and get ready for some action! 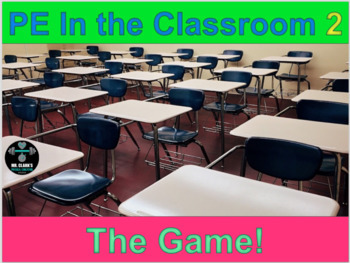 It is guaranteed to get them talking, learning, and having fun all while you enjoy it with the best seat in the class! 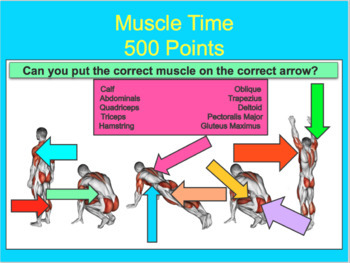 This is also available as a bundle with PE in the Classroom... The Game both versions! Be sure to check out my New Website!